Remember that your unit assessment for P&W will take place at the end of this week. The attached notes might be helpful during your revision. Diffraction is a test for wave behaviour. 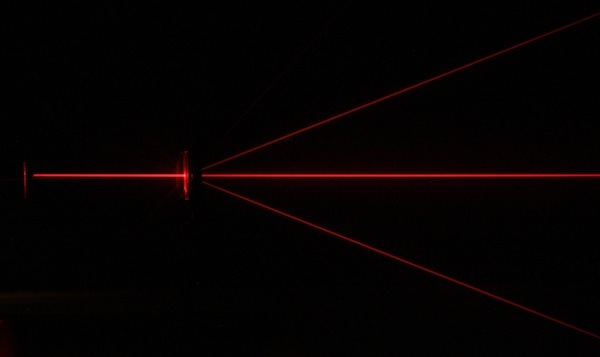 When a ray of light passes through a diffraction grating, the energy of the incident beam is split into a series of interference fringes. Constructive interference is occurring at each location where a fringe (or spot) is observed because the rays are in phase when they arrive at these points. 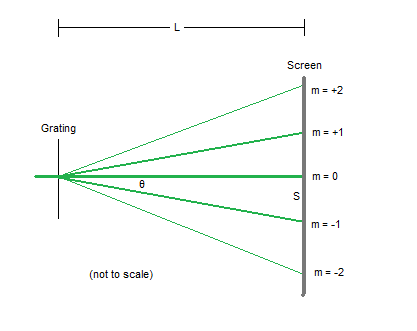 Find out about diffraction gratings here and here. d is the line spacing. 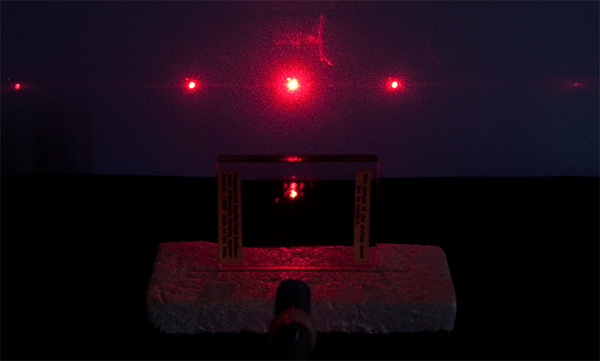 Here is an infrared diffraction experiment you can try at home to calculate the wavelength of the infrared LED in a remote control. 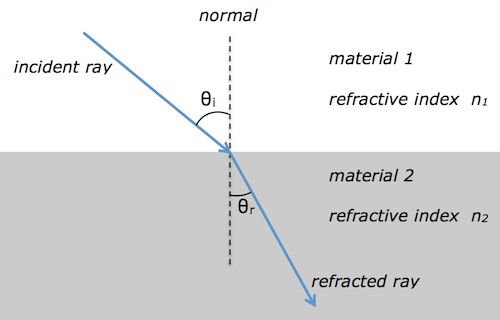 I’ve attached a set of pdf notes and questions on diffraction. 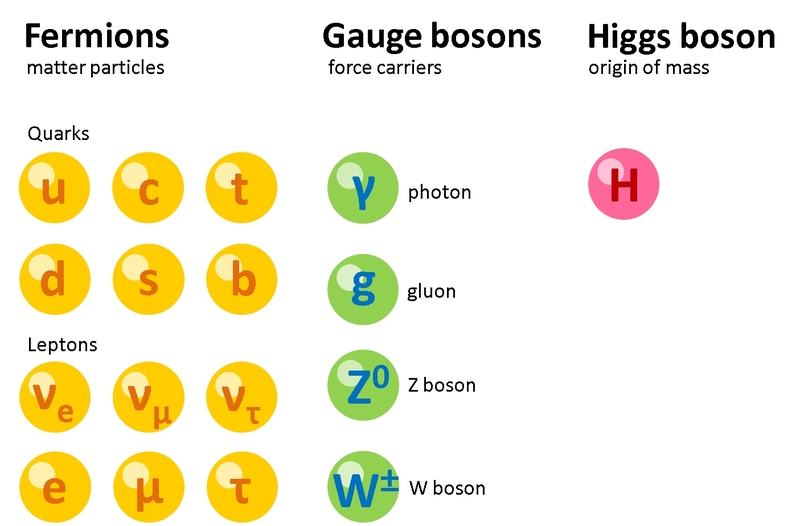 These notes use n rather than m for the diffracted order. We learned about the photoelectric effect this week. This video has a similar demonstration to the gold leaf electroscope experiment I showed you in class and includes an explanation of the process. Notice that below the threshold frequency you can’t get any photoelectrons, even if you set the light to its brightest setting.